This Luxbet bookmaker review is geared towards the Aussie punter. 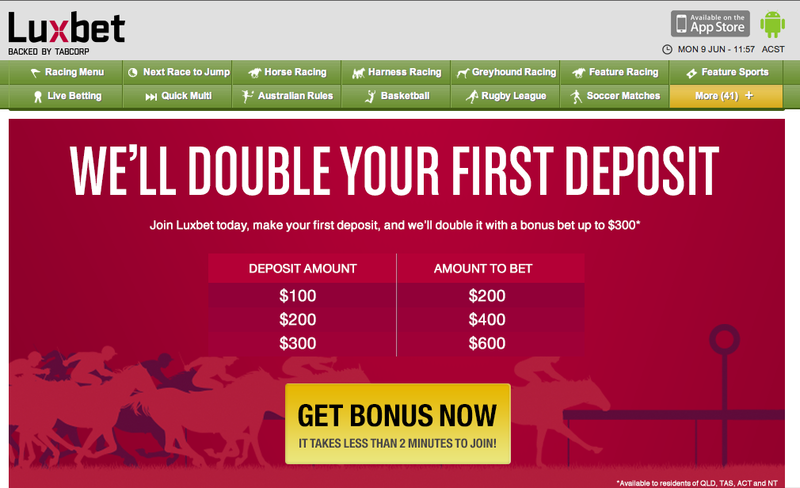 Luxbet was introduced in Australia in 2008 by Tabcorp Holdings, who also operates TAB Sportsbet in the land of Oz as well. 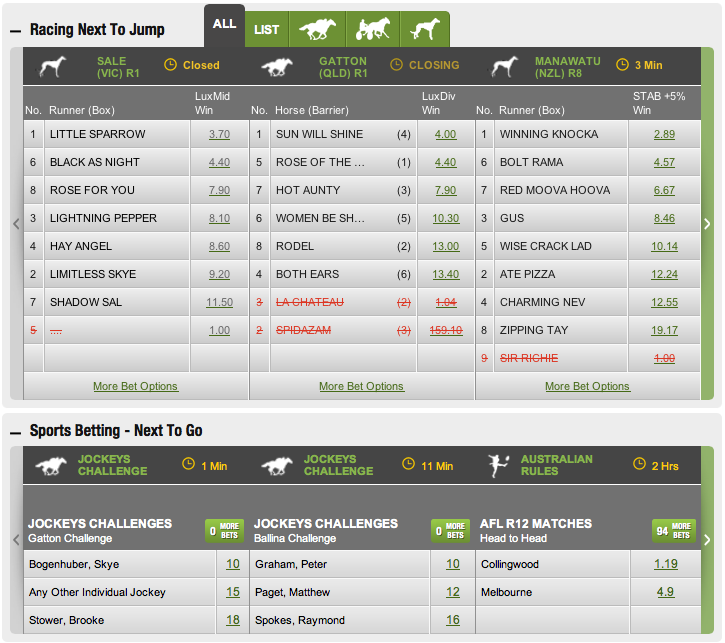 Whereas Tab Sportsbet is licensed to operate in Victoria and NSW; Luxbet is commissioned in the Northern Territory. Although these sister bookmakers are under the same parent company Luxbet offers more punter pleasing offers at sign up and better sports odds as well. It is time to take a look at the various features and services Luxbet has to offer the Australian Punter. Minimum Deposit – No minimum deposit required for all deposit methods other than Bank Transfer which requires $300. Maximum Payout Per Day – AUD $150,000 per day. Identify Verification – Australians can easily verify online. A mobile version exists for your favourite mobile device including iPhone, iPad, and Android. By signing up and using the appropriate promo code the new member can deposit at least $25 and receive a bonus of 100% up to $500 – Click to claim this bonus. This bonus cannot be received by Aussie’s living in VIC or SA. For those living in QLD the amount drops to $400. Coming soon: Make your first deposit and your frist bet will be doubled. So if you deposit $25 your bet will be worth $50 and so on. dead heating competitors of the event (The Dead Heat Rule). Live chat is also available. The interface on Luxbet is very innovative. New punters will find it quite easy to navigate. The site is layout out to be simple, effective, and quick. Punters can locate respective betting markets fast. The odds display in the center of the screen is very concise. The betting slip is easy to find and even easier to use. There is even a quick shortcut link at the top of the page for Multi bets. Luxbet.com offers a very comprehensive package of horse, greyhound, and harness racing events in Australia and even some special events outside the country. Most events offer fixed odds and tote options specifically designed for each particular event. Luxbet believes that they offer the best horse racing black book available. All in all Luxbet may be the new kid on the block in Australia, but the bookmaker has plenty to offer to the Aussie Punter. How are horse betting odds calculated? What are bonus bets at online Australian bookmakers and how to redeem them? What is telephone betting and mobile phone betting? 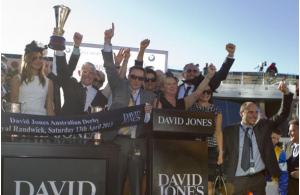 How to live stream the 2019 Australian Guineas? How to beat the odds on horse racing with Multi Maxa App in Australia? What is Tote and what does it mean by Tote Plus at online horse betting bookmaker? DISCLAIMER: It is illegal for anyone under the age of 18 to open an account or gamble in Australia.